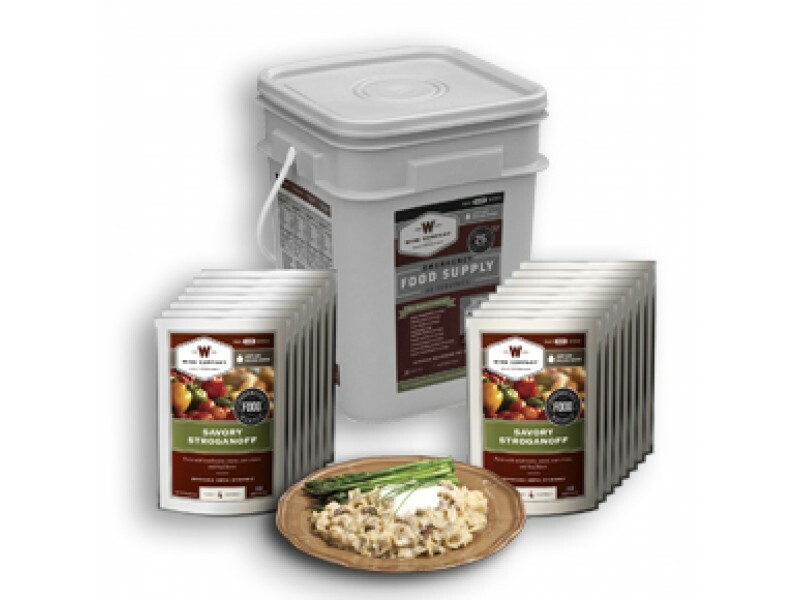 The 60 serving bucket from Wise Foods is a great way to make sure you have enough food stored away to get through most any situation. Each bucket ordered contains 60 full servings of food, which is enough for a single adult to have two servings per day for a full month, or four adults to enjoy two servings per day for a week. This is an excellent option for those who are just starting to stockpile food in their home, so they are prepared for the worst. 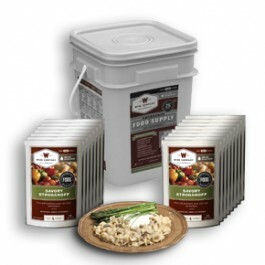 The food comes in a convenient bucket, which allows for easy storage or the ability to grab and go in an emergency. Creating a stockpile of food for you and your family can seem intimidating at first, but with this great 60 serving entrée bucket from Wise Food, you can get started quickly and easily. Each bucket ordered has enough food for one person for a month, or four people for a week, which makes it perfect for just about everyone. All the food is stored in individual pouches (4 servings per pouch), which ensure they have a shelf life of 25 years or even longer. In addition, the pouches make for convenient cooking by simply adding in hot water This is a diverse lineup of food so you won’t get sick of eating the same thing every day. All the foods were specially prepared to provide you with a variety of different vitamins, minerals and other nutrients to help keep you strong and healthy through any situation. Of course, the foods prepared by Wise Food are also going to taste great, so everyone can enjoy them.